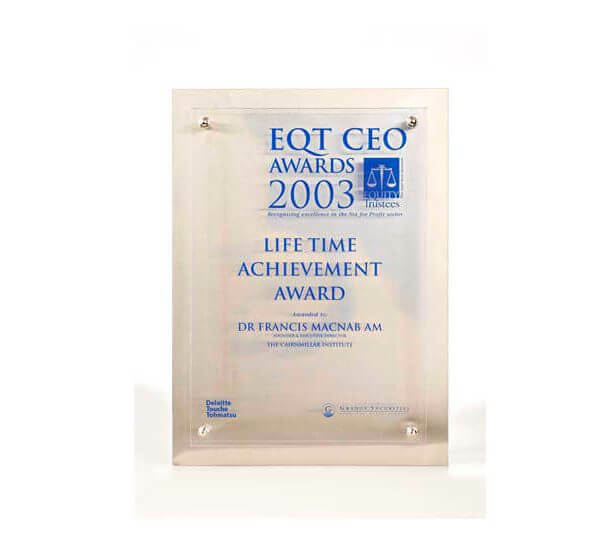 This is an example of one of our raised acrylic plaques. 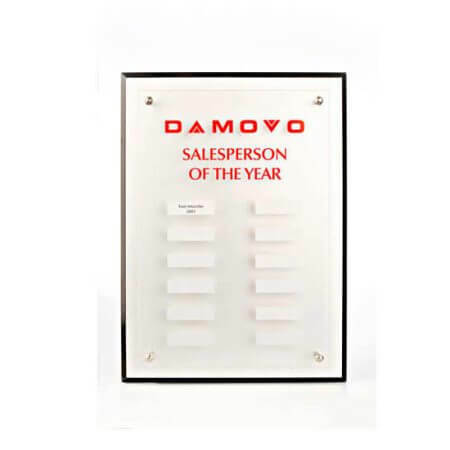 This is a clear acrylic that is screen printed then attach to a black straight edge wooden plaque that is plated with a brushed aluminium metal. 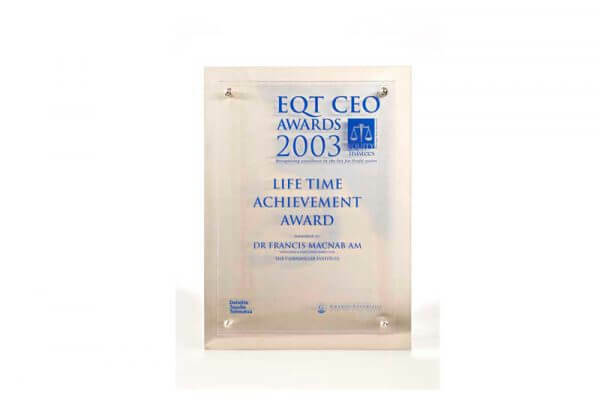 The acrylic sheet sits approximately one inch from the wooden plaque. 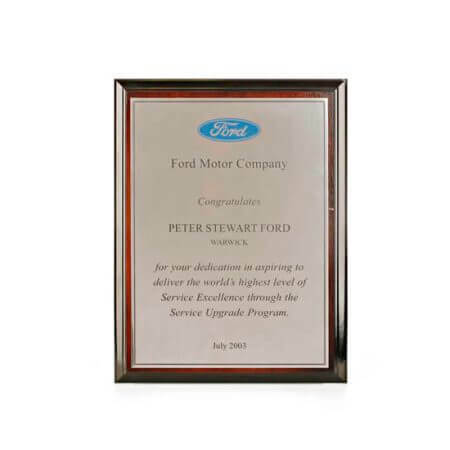 This plaque comes in a standard size of 250 mm x 400mm or we can custom make a wood to your size however please allow a minimum of 4 weeks for this. Various designs are possible and limited only to your imagination. 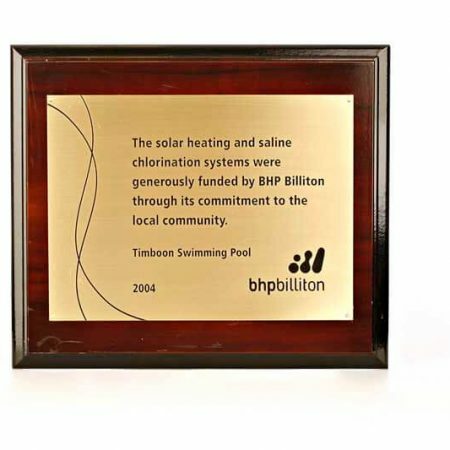 PRODUCTION INFORMATION – please allow between 10-12 working days for completion of plaques from quote acceptance. If logo is required please supply a high resolution EPS/JPEG logo 300dpi or higher. If colour printing is required please supply PMS colours.